Fluorescence based systems fluctuate on a daily basis leading to data with much uncertainty. At Argolight, we develop fluorescence quality management solutions to ensure your instruments provide precise and reliable data that you can trust. 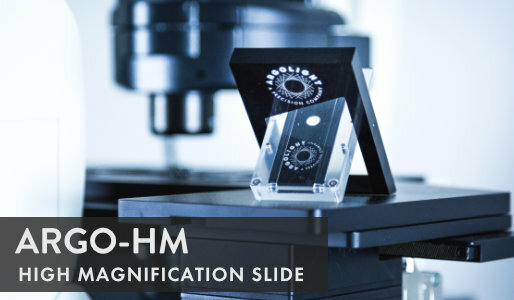 Argo-HM is a slide designed for high magnification systems, greater than 20x. It includes Argolight patented ultrastable patterns and is compatible with Daybook 2. 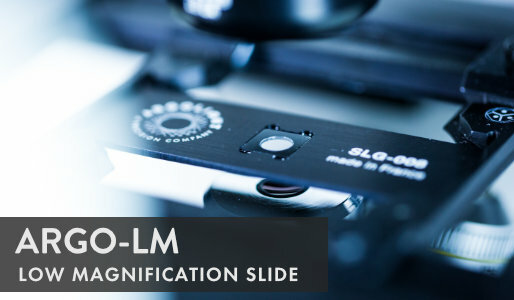 Argo-LM is a slide designed for low magnification systems, up to 20x. It includes Argolight patented ultrastable patterns and is compatible with Daybook 2. 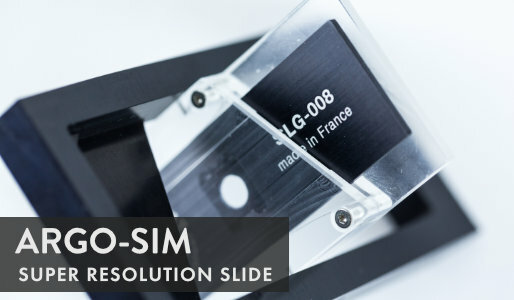 Argo-SIM is a slide designed for Structured Illumination and algorithm based systems. It includes Argolight patented ultrastable patterns and is compatible with Daybook 2. Daybook 2 helps you quickly assess microscopes and automatically store results.